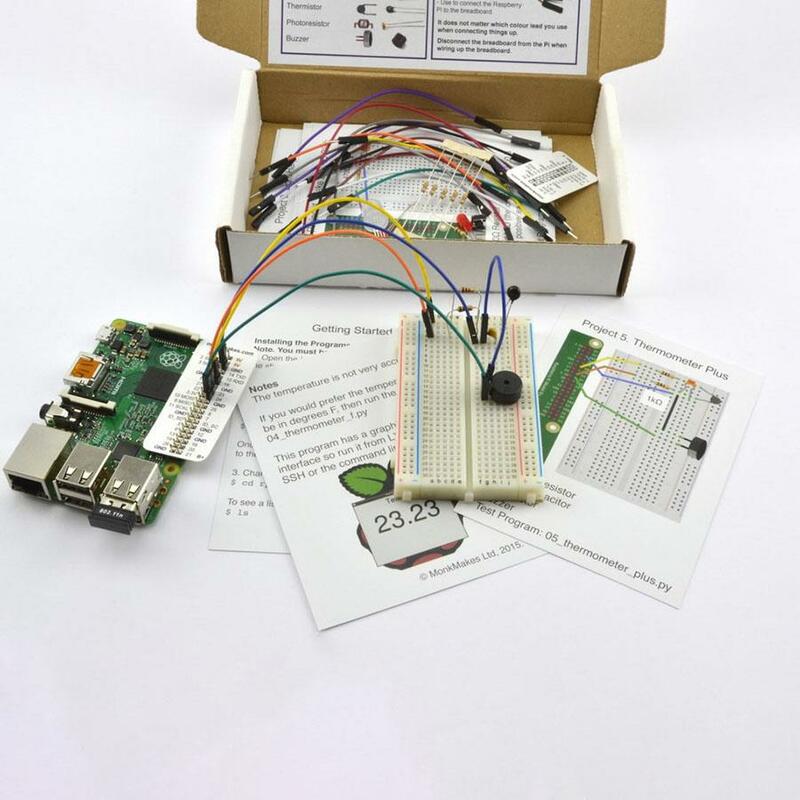 The Raspberry Pi Electronic Starter Kit contains all the components you need, together with easy to follow instruction cards, in order to complete 10 simple experiments involving LEDs, thermistors, photoresistors and switches and is an ideal starting point for anyone new to electronics and the Raspberry Pi. 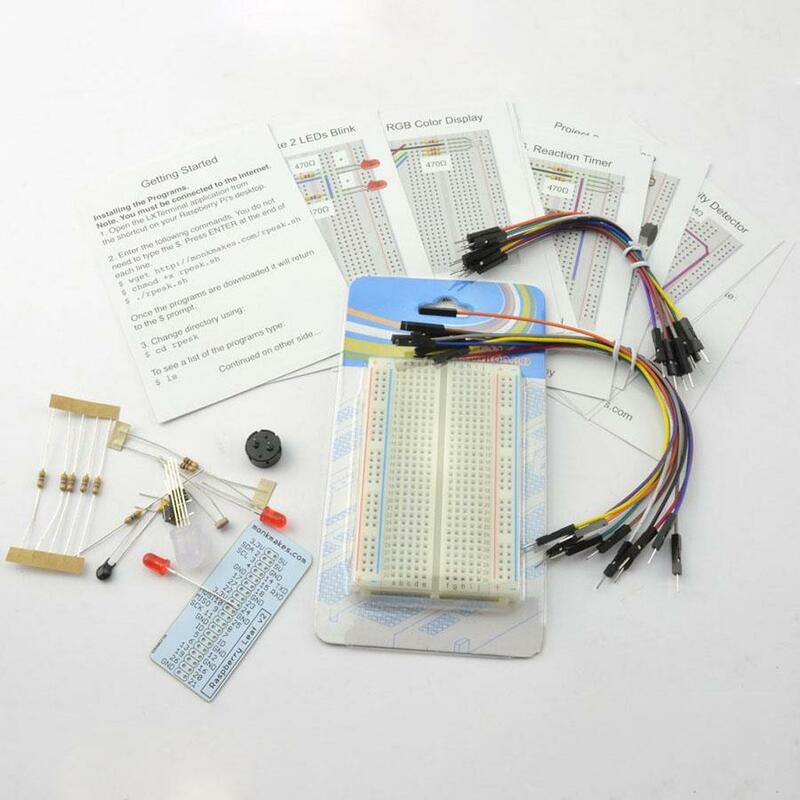 This kit is compatible with the Raspberry Pi models A, B, B+, 2, 3 and Pi Zero (header pins required for Pi Zero). Note: The Monk Makes Electronics Starter Kit for the Raspberry Pi does NOT include a Raspberry Pi. The Raspberry Pi board will need to be purchased separately.